The Photography department welcomes Gary Metz lecturer John Edmonds, an artist whose practice brings together photography, fabric, video and text. 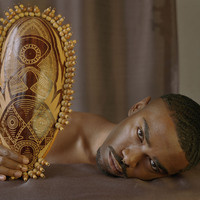 Best known for projects focusing on performative gesture and self-fashioning of young black men on the streets of America, he is also known for his portraits of lovers, close friends and strangers. He has participated in residencies at Light Work, Syracuse, NY; the Center of Photography at Woodstock, NY; FABRICA: The United Colors of Benneton’s Research Center, Treviso, Italy; and The Skowhegan School of Painting & Sculpture, Skowhegan, ME. Recent Exhibitions include Family Pictures at the Columbus Museum of Art, tête-à-tête at David Castillo Gallery, James Baldwin/Jim Brown & The Children at The Artist’s Institute, and Face to Face at the California African American Museum. A catalogue of his solo show, Anonymous, was published by Light Work in fall 2017, and his monograph, Higher, was published by Capricious Publishing in 2018. He lives and works in Brooklyn, NY.